Need a tow truck in Fort Worth? Available 24/7! The dead of night. The height of Texas summer heat. In the midst of Fort Worth rush hour traffic. On a deserted road. In the pouring rain. On your way to work. With a van-load full of kiddos. What do all of these share in common? These are the times and places you may end up needing a tow truck. Let’s face it. Whether you’re in Fort Worth, Arlington or Dallas, it really doesn’t matter where you are, where you’re going, where you’re coming from or who you’re with. The bottom line is: it’s never convenient to have car problems! Picture this: your vehicle has broken down and you’re stranded on the side of the road somewhere in Fort Worth. If you’re not a mechanic, you’re not going to have an idea of where to begin to get your car back on the road. (And even if you are a mechanic, without your tools or a repair/service bay, you’re not likely to be able to make the necessary repairs you discover.) About now, the thought should be dawning on you… it’s time to pick up the phone and call for a tow truck. You’re already stranded in Fort Worth. Worse yet, you’re aggravated and concerned about your vehicle that’s broken down. You know you need a tow truck, but you don’t know who to call. You’re wise to be cautious. Not every tow truck service is reputable. Thankfully, we’ve got that covered for you. We’ve teamed up with a reliable tow truck service. 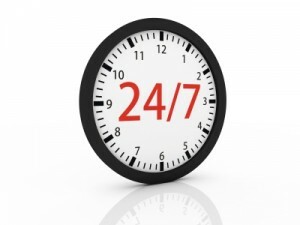 Available 24 / 7, they are there when you need them! Hopefully, you won’t find yourself needing a tow truck. But just in case, it’s always best to be prepared. Give us a call to learn more about this service.